They can’t all be the best! I consider this to be one of them based on Features, Support and Stability. IXACT Contact started out as a simpler alternative to Top Producer and I called it Top Producer Lite. It’s no secret that some agents think Top Producer has too many features and people walk away feeling intimidated. Most of the time it is because they don’t really understand what Real Estate CRMs have to offer and they want very little. But sometimes, like Goldilocks, they want more than just a little, but less than Top Producer. For those agents, IXACT Contact can be just right. IXACT Contact has continued to add features since 2009, so it’s far from a bare bones solution. It has all the features most agents want. 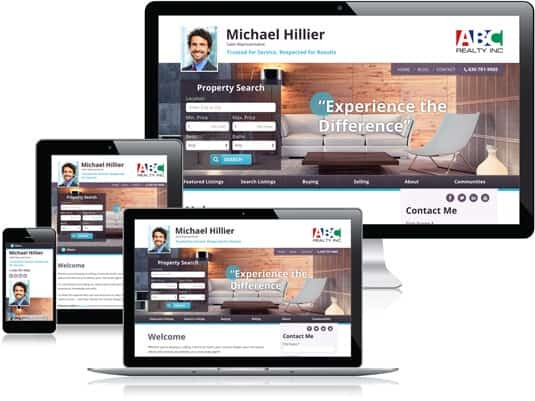 One outstanding feature is to include very nice responsive WordPress websites that have monthly content written by them for you. They now also have Social Streams to market on Social Media with lead capture forms and tons of free content. There are still a great many Agent Office users out there but they are gradually moving on to other CRMs. Out of all of the CRMs I have, I most often point them to IXACT Contact. It doesn’t look or feel like Agent Office, but its features just remind me of Agent Office more than any of the others. Especially the activity plans section. If you are satisfied with what Agent Office has done for you but you need to move on and you want a few more features than it has, IXACT Contact is a great place to look. An important note- Agent Office does not export categories or notes. The only three CRMs that have created a utility specifically to allow them to import the categories and notes from Agent Office using the backup file are IXACT Contact, Top Producer and Advantage Xi. 6 Months Free for New Agents! There are several things to like about the IXACT Contact Desktop. The Ability to find a contact and add a note. log a call, or add a task to it is referenced below. Also the search box is very handy right on the home screen. Easy Setup – This service ought to attract some attention. When you first get a CRM there are some things you really need to do in order to get rolling with it. Ordinarily, you are on your own for this. All CRMs will help when you have questions, but many agents don’t even know what to ask. You’re stuck in ‘Where do I start’ mode. I have spoken with thousands of agents over the years and I know many of you never pull the trigger on getting a CRM for this reason. You dread that initial setup. Well IXACT Contact realizes this so they hold your hand a little at the beginning. They don’t just show you how to do it. They do it for you, with you. They do your initial import for you. They will help you get it out of what you have, and get it into IXACT Contact. What you can import is not limited to a single file either. And 90% of the time it’s done the same day, 99% within 24 hours. ♥Email Campaign Reporting – Best in Class! Staying in touch with groups of people using email is a great way to make sure people don’t forget you, or to simply get some information out to them. To do it right though, you need to know things like; how many people received the email? ; how many opened it? ; how many clicked on a link in the email; or how many times did they click on that link? These are just a few pieces of information which are commonly referred to as back-end statistics or campaign reporting. If you send 500 people an email and find that only 2% opened it, something needs to change. So you experiment and change the subject line. Lo and behold the open rate jumps up to 22%! Just because you changed the subject line? It can happen. But you won’t know it if you don’t have campaign reporting available to you. Then, even if you do, the reports have to be laid out well so you can make sense of what they mean. One of the primary reasons they have the best one is that unlike the majority of its competition, their stats are displayed inside the CRM laid out specifically with real estate agent’s needs in mind. 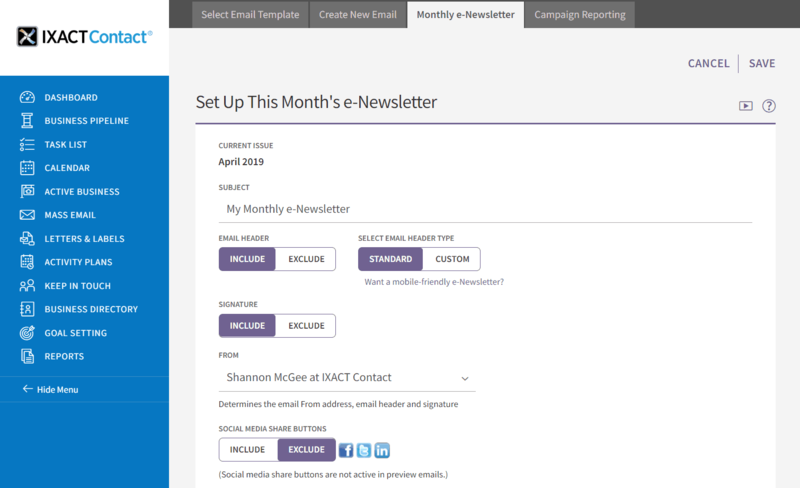 IXACT Contact allows you to do any regular and drip campaign emailing without limit. For blast emails to groups, they give you the first 1,000/mo. If you go beyond that amount, there is an industry competitive fee structure depending upon the quantity. The Free Monthly Newsletter – Because staying in touch is so important, many agents are on the prowl for something to send their sphere of influence something that stands out. They want something for which the recipients have a perception of value so they actually look forward to receiving it. What you send is largely dependent upon who you are sending it to and for what reason. But for general use, a well crafted newsletter that comes included with your Real Estate CRM is a very desirable feature. How do you know how good it is? How many people are opening it, and how many are clicking through to the information provided? Sure is handy that IXACT Contact has the best email campaign reporting on the market because you will know by looking at those stats after you send out the newsletter. Currently you can customize the header (they will do that for you) and add whatever content you like. Plans are to make even the content they provide editable. 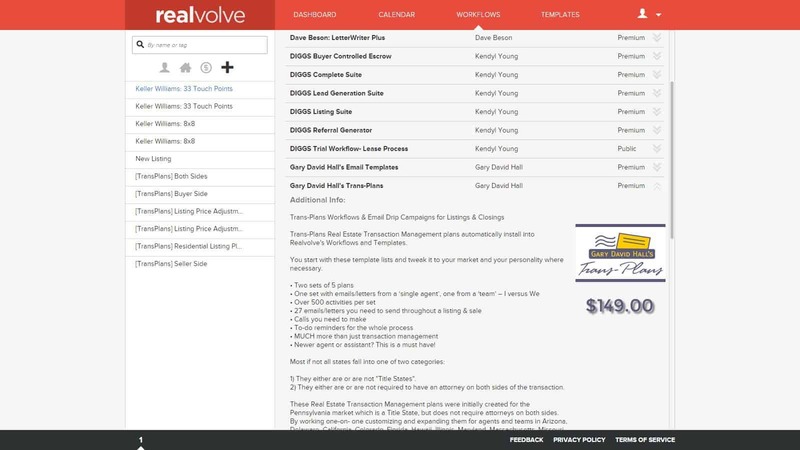 ♥Web Site – Best in Class – Talk about great value in a CRM! IXACT Contact now includes a WordPress web site in your CRM subscription. 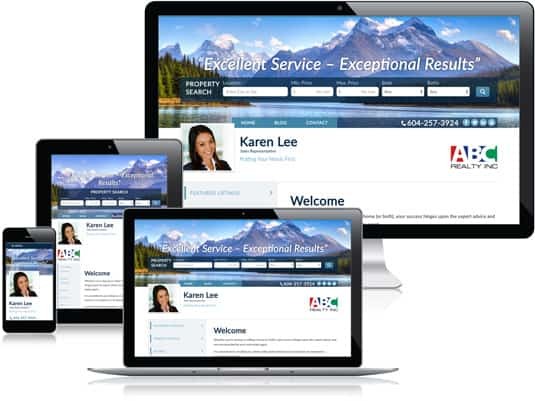 These are for real customizable sites that feed the leads directly into the CRM. But it doesn’t stop with just the site. The site includes a blog and they provide blog content for you too. IDX is not included for free but can be secured through IXACT and they have several different levels of service in that regard. They have many templates to choose from and you modify them if you like. Referral Marketing System – For the same monthly fee, Morris Marketing will provide Social Media Marketing, Direct Mail Marketing, The Marketing Idea Hotline, and the Referral & Repeat Marketing Book. See more here. Trans-Plans Activity Plans: IXACT Contact has formatted Trans-Plans such that all the plans/emails/letters install automatically. All you have to do is start using them! How does IXACT Contact stack up with other popular features? Phone/Tablet: IXACT Contact uses an exchange server to share data between the devices. In English, that means that your phone’s address book, calendar and task list will fill in the appropriate fields with the information from IXACT Contact. People get confused on this issue so let’s make it clear. The CRM does not change anything in your phone’s address book or calendar. It can only display whatever fields are already in the phone. If you have six phone numbers in IXACT Contact but your phone is only capable of displaying four, then it displays four. Appointments can be related to contacts or transactions in the CRM, but not in the phone’s calendar or in Outlook’s calendar.Confused? Call me and I’ll explain. Google Synch. You can now synch their contacts and calendar items to Google Contacts and Calendar. Lead Capture: IXACT Contact has had a lead capture form to build for your web site. It is not customizable and is pretty basic. 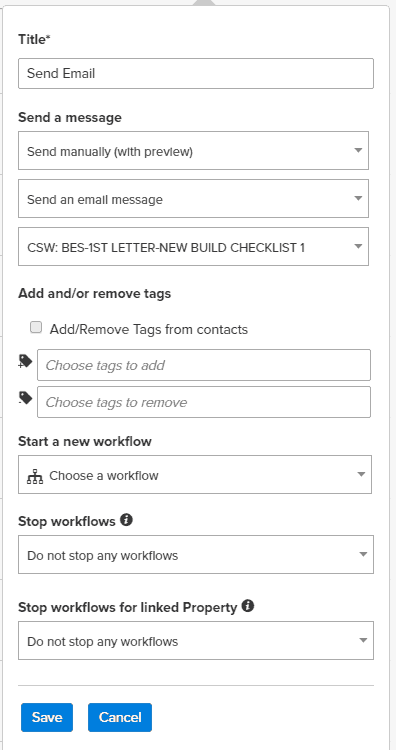 That said, it is now also capable of automatically creating a new contact when you get a lead in an email by using email parsing. This is the overall best method as it will work with virtually any email lead. They also have an open API meaning if any other vendor wants to make it’s contacts available for automatic population into IXACT Contact, they make it simple by providing the coding to do so. New Lead Display: At the bottom of the screen under Imported and Synchronized Contacts is a link to click to get to the new leads. Lead Notification: By email from IXACT Contact if you choose to be notified. 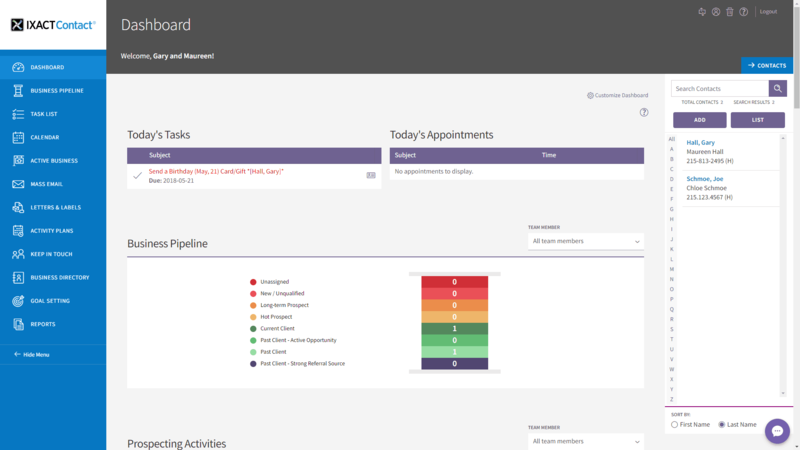 Team Capabilities: IXACT Contact has the ability to have team members with individual calendars. Administrative rights include the ability to limit Export, Delete, Synch, or importing of contacts. 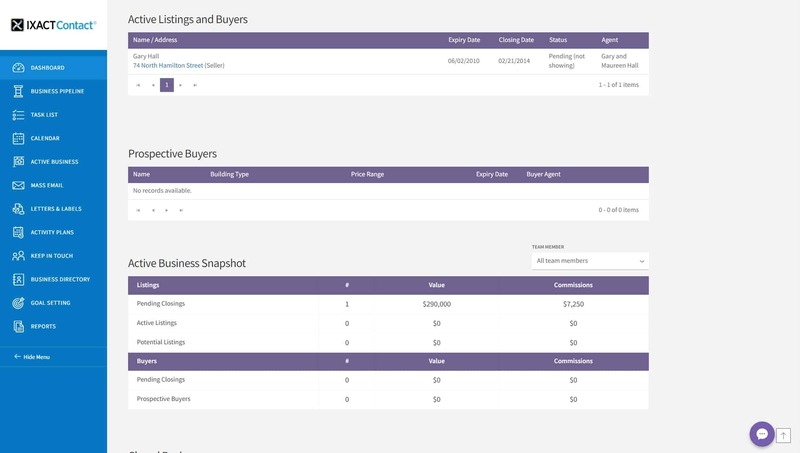 Currently all team members can see all contacts with no option to limit them, so if you have a buyer agent for whom you wish to limit to see only their contacts, listings or sales, you can not currently do that. Buyer Home Search: Buyer preferences for their new home can be entered into the contact record but there is no search function to match them to listings. E-mail stored with contact record: You can use any e-mail you want without exception. All you have to do is BCC or Forward to the IXACT Contact special email address that they provide. Included Template Content: A large selection of template emails and letters. 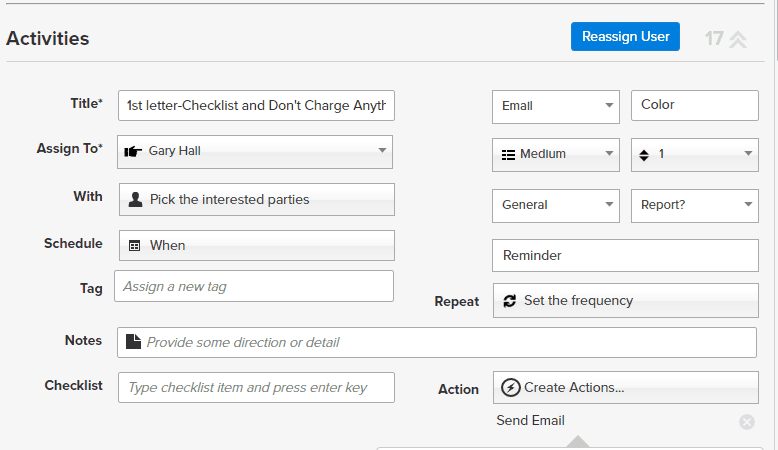 Virtually all template emails in any CRMs need a little tweaking to make them fit your personality and market. The true value in any canned content is that the subject matter and structure are already there. If you don’t particularly like the way something is worded, tweak it! Social Media: Currently no Social media interfaces BUT – you have the ability to send emails with social media sharing buttons for Facebook, Twitter, and LinkedIn. This means email recipients can share the content of the email on their social networks. This helps you expand the reach of your email marketing. People who normally wouldn’t see their e-Newsletter for instance, now can. I started working with this group before they opened their doors, as a consultant. They are on my client list still today. Many years ago I was approached by a man who wanted to build a CRM. We discussed what he had come up with so far and then I didn’t hear from him for a couple years. Then came IXACT Contact! Since then I’ve worked with the owner, the CTO, and have had an ongoing relationship with the VP of Sales and Marketing. IXACT Contact is a top flight organization filled with good people who are a pleasure to work with. 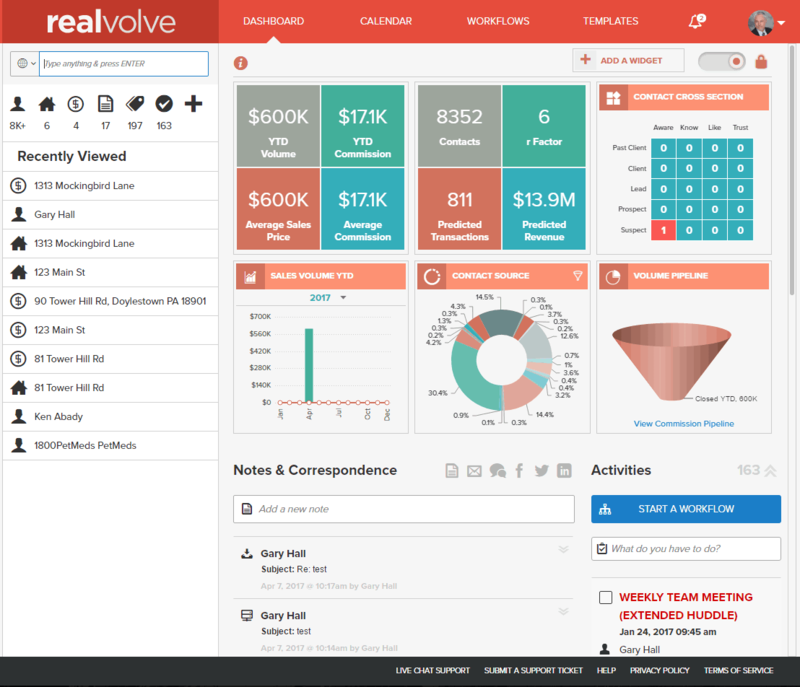 I relatively rarely recommend a newer Real Estate CRM because it takes a while to get to the point where they are financially viable so you don’t know if they will survive. That said, I started recommending IXACT Contact very quickly. That was years ago and I never regretted it. IXACT Contact already had a well established real estate related company to shore them up. As it turned out, they didn’t need it. They started in 2008, got into the black quickly and are one of the top sellers in the industry today. I would classify them as one of the most solid CRMs on the market. IXACT Contact is pronounced iggs-act contact. 60 day free trial when going through this site. Theirs is a 35 day trial. In order to trial this CRM you sign up for it but you do need your credit card. They just start billing you automatically after the trial period unless you call them and cancel before hand. There is no contract. It is month-to-month. IXACT Contact’s pricing is very straight forward. It’s $34.95/mo. for an agent license and $24.95/mo. for an assistant license. No one anywhere is authorized to offer it for a different price. New Agents – 6 Months Free! Have you been in the business less than one year? What a great deal! Just let me know at 215.345.5222. You can have up to three users for one fee of $34.95/mo. but that means everyone shares everything. Everyone has all the contacts. Everyone shares one calendar. There is no ability to assign leads or tasks to another team member. It’s well suited to a husband wife team. The price includes 2,500 blast emails per month. If you want to do more than that there are additional fees tiered by quantity that are competitively priced. Paying one year up front gets a 10% discount on your total purchase. This is a direct link to their site to a page created for me. No promo code is necessary to ensure any benefits provided here.